The best shower shave mirror due to its unique design. NO FOG. NO SUCTION CUPS. Mirror removes from adhesive hook (included). 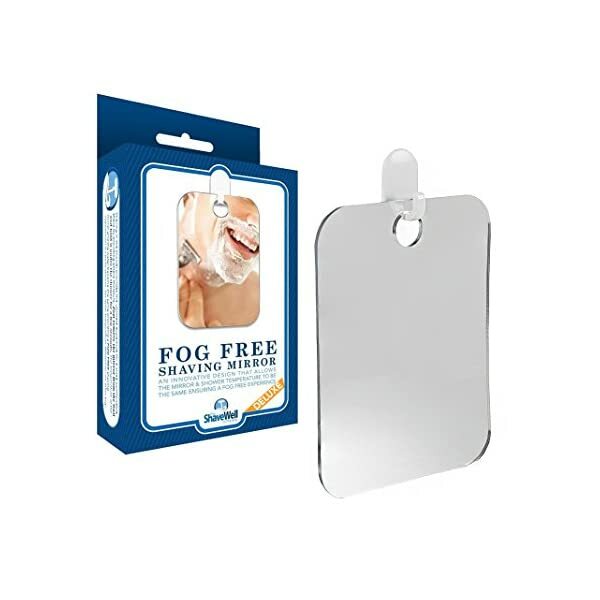 It works on basic science – Hold the mirror under shower stream where temperature of the shower and mirror will equalize for a long lasting, fog free reflection. Easy to clean – Wet mirror and clean with a pea-sized drop of toothpaste to keep spots away. It will look like new after years of use. 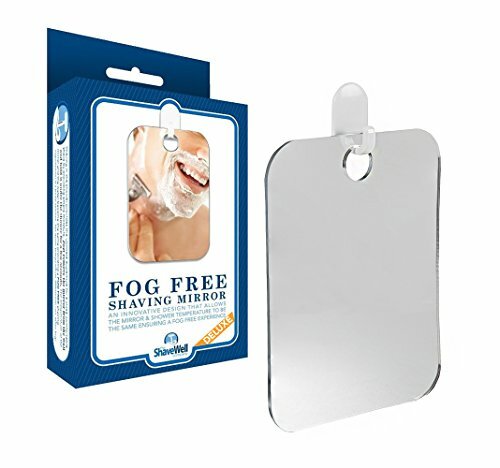 The Deluxe Shave Well Mirror measures 6.83″ tall, 5.25″ wide and is 1/8″ thick. 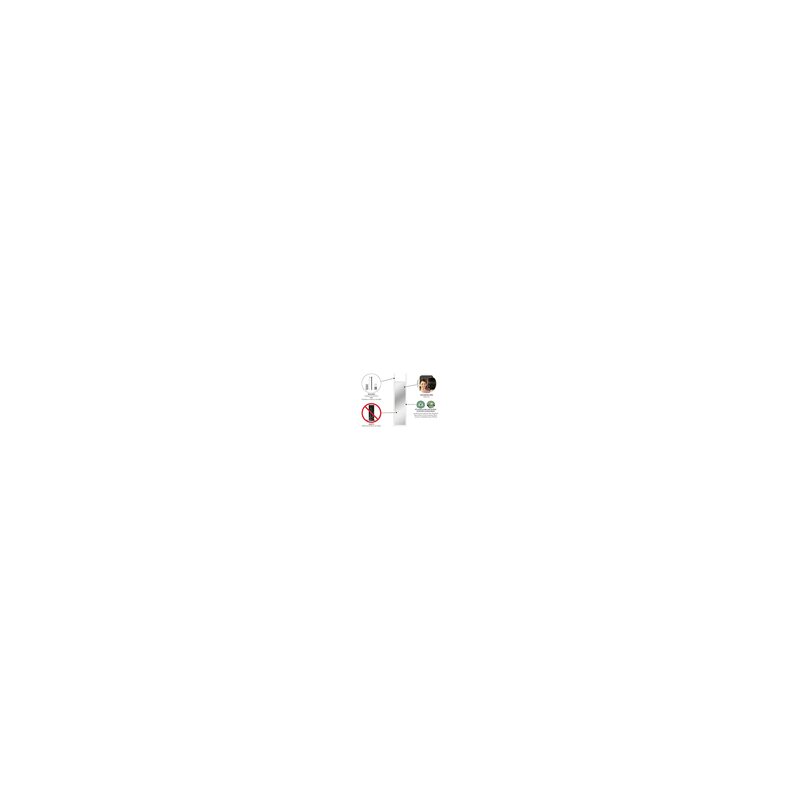 The base of the adhesive hook is 1″ x 1.5″. $22.99 (as of April 16, 2019, 6:04 am)	& FREE Shipping.